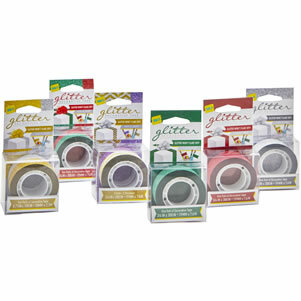 Our glitter tape was developed to make crafting with glitter easier than using loose glitter and glue. Seal-It Glitter Tape tears easy by hand and the glitter does not flake off. Whether you’re making greeting cards, wrapping a present or making a wall mural, using our glitter tape is an easy way to add sparkle and glamour to any DIY project.